A career diplomat, Michèle Boccoz has an atypical career path. 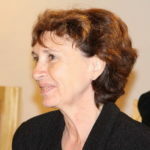 After holding several diplomatic posts (primarily multilateral: the European Union, the United Nations and the OSCE in posts in Paris, Vienna and Geneva), Michele entered the private sector when she became Director of International Affairs at Institut Pasteur, where she headed the Institut Pasteur International Network (more than 8,000 people in 30 institutes), and then Director of International Communications at the Paris-based headquarters of Veolia Environnement. She returned to France’s Ministry of Foreign Affairs as Deputy Chief of Staff to the Minister. From 2009 to 2012, she was Ambassador of France to Belgium, and from 2013 to 2016, Ambassador of France to Croatia. Michèle Boccoz, who continues to take an interest in international health, is Vice-President of the Agency for Preventive Medicine (AMP) and has a seat on the governance board of the TuBerculosis Vaccine Initiative (TBVI). She has beeen nominated in September 2016 as Ambassador in charge of HIV and communicable diseases fight.